We saw how the QQQ broke below support and started a waterfall drop. 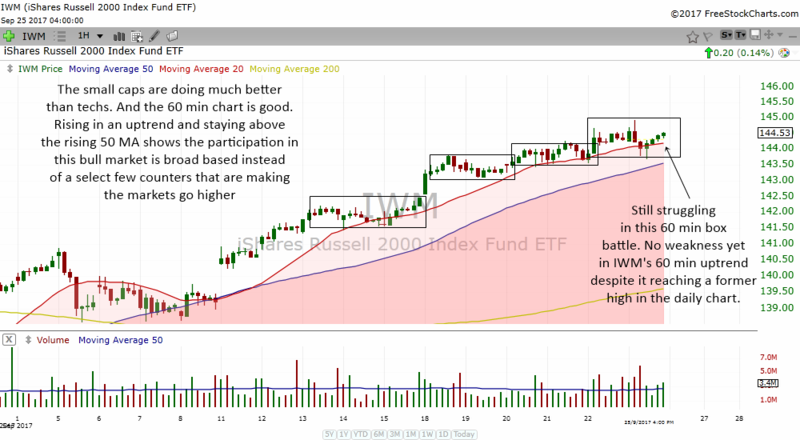 Today as it reaches support, let us see if it can stage a rebound up. Pre market, the QQQ is going back above the 5 min into white zone. 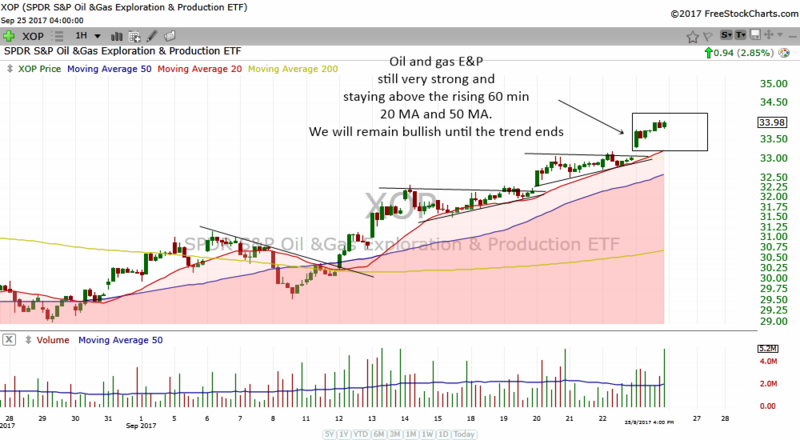 Oil is still in a nice 60 min uptrend and especially the oil & gas exploration and production etf is also in a nice 60 min uptrend. Let us look at the charts below. I might update as the day progresses so do press the refresh button now and then.